The Malekko 8NU8R is a clever utility. A dual 4hp attenuator, the 8NU8R also sports the ability to switch on diode rectification waveshaping. Regular attenuation, as well as full and half wave rectification with adjustable attenuation are possible. 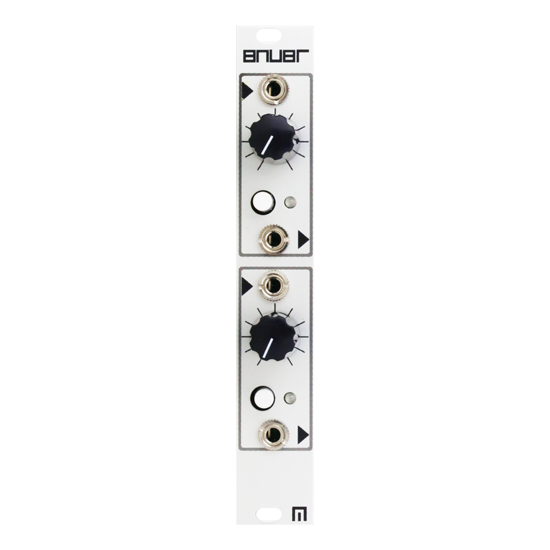 When no input is present, each half of the 8NU8R produces a steady DC voltage (offset) adjustable by the level control. DC offsets have many uses in a modular system. Read more below!